In May next year, Karrie Fox will take part in a charity ride from John o' Groats to Lands End. The ride is in aid of the Genesis Research Trust who work to help mothers and babies through conditions such as miscarriages, premature births and brain damage. She will ride the 1000 miles with a number of celebrities including Fern Britton. You can find out more, and donate, on Karrie's Just Giving page. 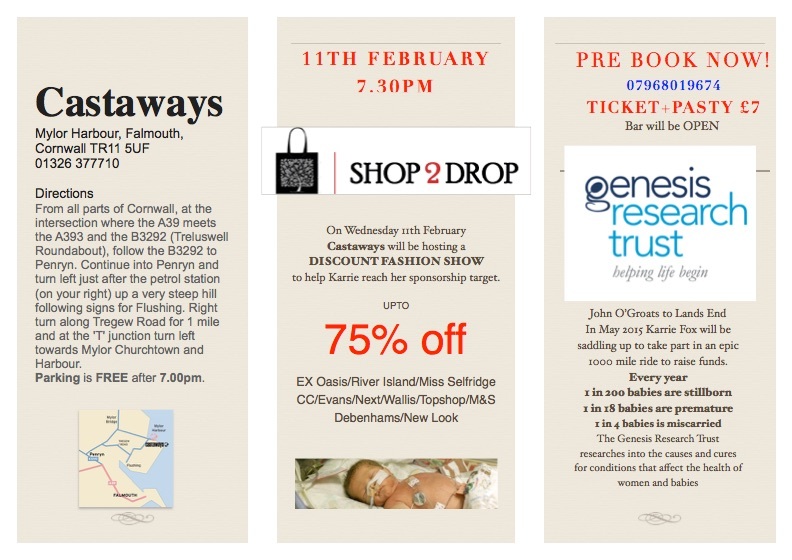 To help with the fundraising, Karrie is organising two events. 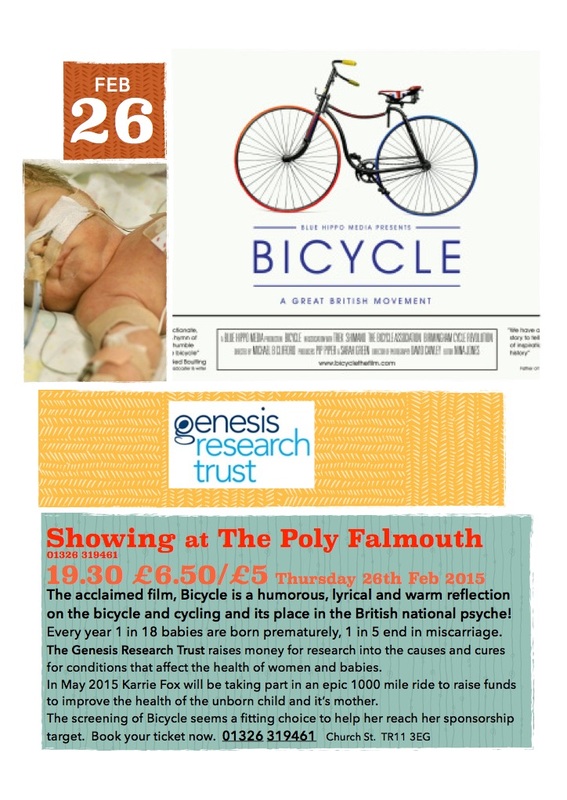 A screening of the film 'Bicycle' at Falmouth Poly on the 26th of February and a Discount Fashion Show at Castaways in Mylor Harbour on the 11th February. Please head along to one, or both (the fashion show is ladies only) and help Karrie with her fundraising.